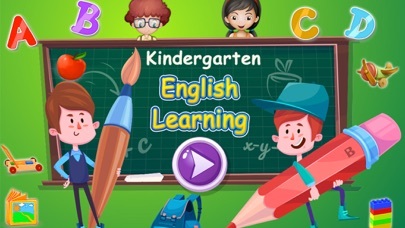 “Learning English for Kids” is a simple and fun learning game for the toddles & children of all ages. 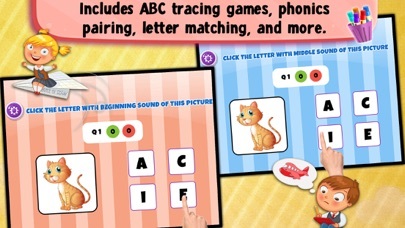 It will introduce the English phonics with funny and interesting game play. If your kids do not know the alphabet sounds yet, we recommend our ABC Phonics app.With no effort, toddlers will learn English Phonic sounds and their first object names. Features: - Learn English Language with sounds - Learn Phonics & pronunciations - Learn English Spellings, Learn to Spell English Words - Match the Pictures, Alphabets with Sounds - Beginning Sounds, Middle Sounds & more - Match the Picture with Words - High quality HD pictures, nice funny music, and tons of fun. - All puzzles are available for FREE Every section is designed to let kids enjoy, so they want to keep learning. Once your child is involved and happy, you can relax, with the assurance that he or she is having a great time learning. Any toddler, kindergartener or preschool age child can learn English and the English alphabet simply. 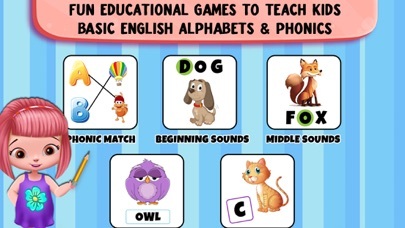 It features a series of English learning games to help kids recognize letter, associate them with phonic sounds, and put their alphabet knowledge to use in fun matching exercises.